Kitco Metals both actively sells and buys rhodium bullion bars and buys rhodium sponge. With our website to can easily buy rhodium bullion bars and take safe, fast fully insured delivery to your door. See Kitco Rhodium Sponge FAQs for further information. For rhodium orders over 20 oz please call us at 1 877 775-4826. Rhodium is extremely rare and harder to find than platinum, palladium, silver, or even gold. The rhodium price has had two somewhat recent price manias (once in the late 20th Century and another in early 21st Century). Given how tight mining supplies can become, the probability of future rhodium price spikes are nearly guaranteed to again occur. Rhodium is part of a group of precious metals called the platinum group metals (platinum, palladium, ruthenium, iridium, and osmium). These platinum group metals have similar chemical and physical properties. Is Rhodium rarer than Gold? Yes rhodium is rarer than gold. Rhodium is indeed rare with an estimated Earth’s crust concentration of 0.001 parts per million (ppm). In comparison silver is found in 0.075 ppm, platinum’s ground abundance is at 0.005 ppm, gold is uncovered at 0.004 ppm, and palladium is found at 0.015 ppm in the Earth. To give you another perspective, if we convert rhodium’s parts per million rarity into time, we would find 1 minute of rhodium in just over 1,900 years’ time. For gold it would be more than 475 years, platinum over 380 years, palladium beyond 125 years, and silver past 25 years to one minute or their respective precious metal recoveries. The Rhodium Bubble of 2008 saw rhodium prices go from $500 oz USD in late 2006 to just shy of $10,000 oz USD in the summer of 2008. By the beginning of 2009 rhodium prices had fallen back to $1,000 oz in January 2009. What sparked the Rhodium buying frenzy? A combination of demand in the American car industry, a bullish market in rare metals at the time and at least one large speculator or group of speculators on Wall Street who led a herd of rhodium investors and rhodium traders. In the early 1990s, rhodium prices also experienced a dramatic increase higher rising to over $5,000 oz USD due to mining strikes in South Africa causing rhodium premiums to jump especially in 1990 and 1991 respectively. The world’s main rhodium mining industry is in South Africa. About 80% of rhodium mine supply comes from South Africa. Russia produces the next largest percentage (about 12%) of the world’s rhodium supply. Canada and the USA mine about 3% while Zimbabwe mines about 4% of the world’s annual rhodium supply. Annual world rhodium production is about 30 tonnes or just under 1,000,000 troy ounces per year. About 80% of rhodium demand is used in catalytic converters for the automobile industry. Chemical uses account for about 10% of rhodium demand, glass applications approximately 5%, and the electrical industry and jewelry uses make up smaller single digit rhodium demand percentages. Rhodium investment and rhodium bullion buyings makes up an insignificant portion of overall rhodium demand. On average the world uses about 1,000,000 troy ounce of rhodium per year although some year’s rhodium demand out strips supplies and vice versa. Why buy Rhodium Bullion Bars from Kitco? Finding a trusted local or online rhodium bullion dealer to buy rhodium bars is not as simple as a google search. You should seek to find reputable and experienced rhodium dealers who promptly delivers quality rhodium bars and rhodium investments at fair and reasonable prices. Our organization has been working in the rhodium and precious metals industry for over 40 years. In our time we have seen many other local and online rhodium bullion dealers come and go. 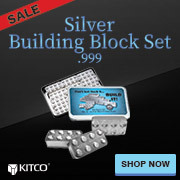 Since 1977, Kitco has been buying and selling rhodium and other precious metal bullion items. We are the world’s #1 precious metals news website and a trusted online rhodium dealer. Kitco buys and sells extremely rare Rhodium Bullion Bars. Want more information on how to buy and sell rhodium?